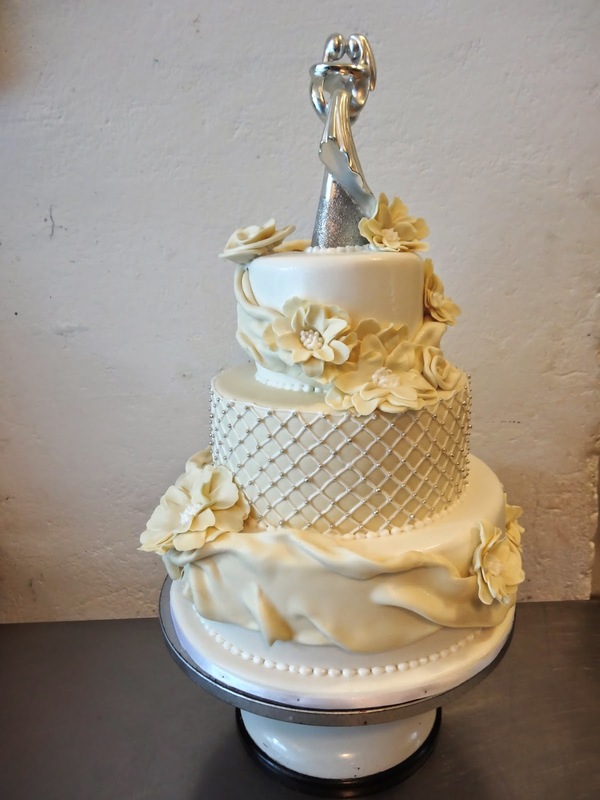 Vintage Ivory and White wedding cake! Cake design by the bride based on a few of my cakes and also on her hat which she made herself! Congrats to Olga and Bas!